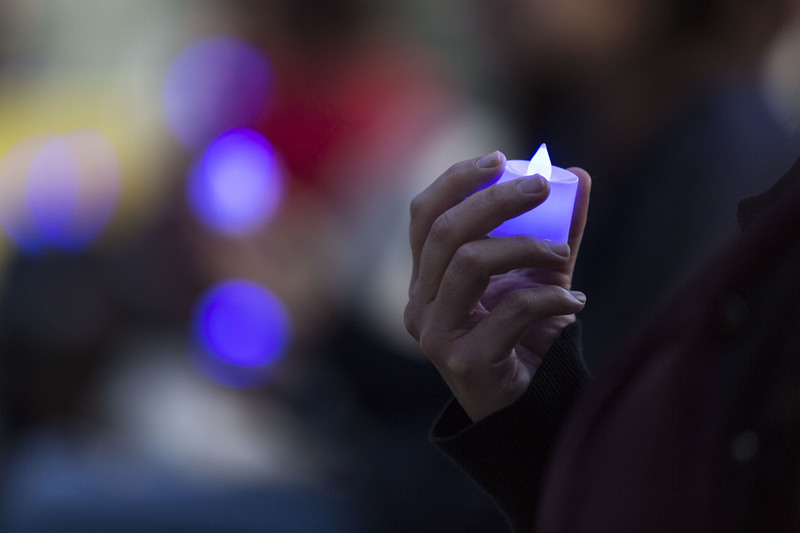 Light It Up Blue is a Global Autism Awareness Event. CI held their annual “Light It Up Blue” event on April 4, 2017. 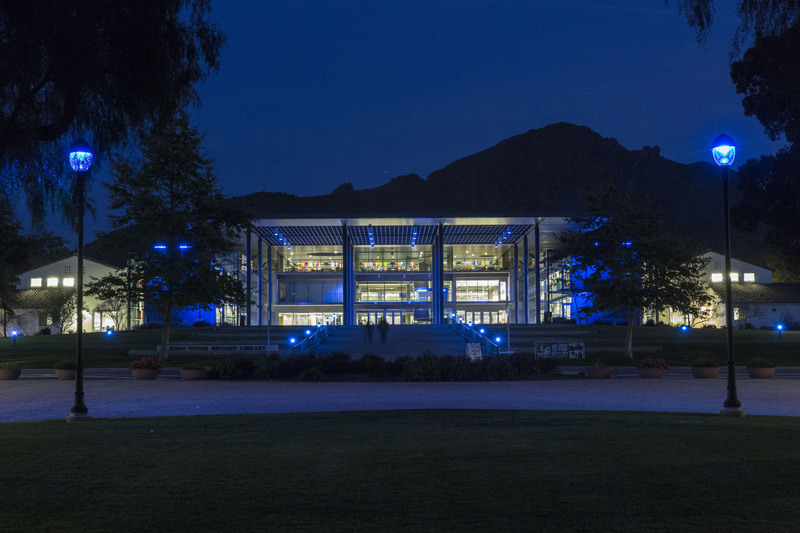 Lights around campus, especially inside and outside the library were lit up blue to celebrate this event and Autism Awareness. The event consisted of local organizations coming together to provide information for students and families in our community on autism-related resources. Members of Zeta Pi Omega shared poems and personal stories relating to people overcoming challenges and their own experiences they have had with someone who has autism in their lives. Samuel Capozzi, a seasoned speaker for CI’s events, delivered a message in his own unique way. Capozzi communicated his speech through a program he uses in his everyday life, called “Proloquo4text,” where his words are read aloud after being typed on an iPad. 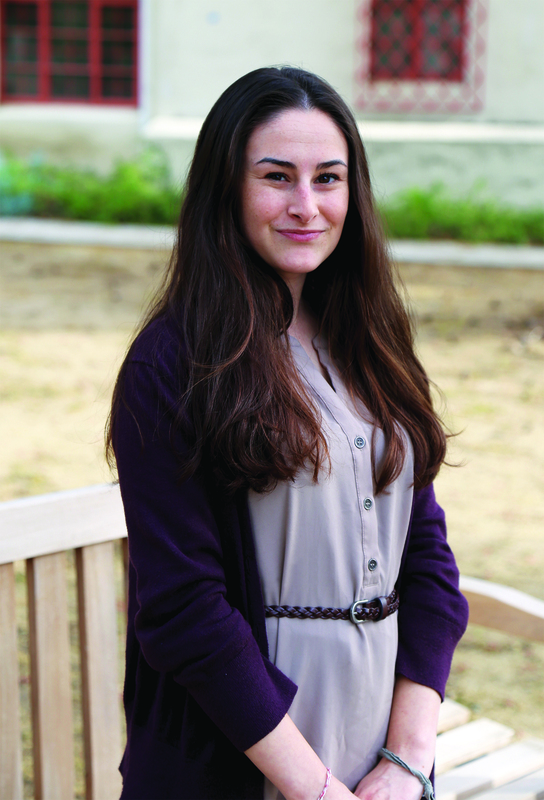 Capozzi is a third year political science major and is a member of Gamma Beta Pi honor society. Outside of our campus, he is the first individual with autism to serve on the Autism Society board. We do not know all of the causes of autism but there are many factors for multiple types. This includes environmental, biological and genetic factors. 1 in 68 children are on the autism spectrum. We can take action by volunteering and knowing that autistic people have their own way of sharing their voices with the world. The idea of autism should be celebrated, and the stigma reversed. As The CI View announced in last month’s issue, the tuition will increase by $270 for undergraduate, by $312 for graduate and by $438 for doctoral students. The increase will not have an impact on the students who receive assistance and waivers to cover the cost of tuition. The CSU Board of Trustees estimated the increase could generate $77.5 million in net revenue, for what the Trustees called the “student success initiatives” in their announcement. Nevertheless, the CFA challenged the Trustees, referring to the imposed higher tuition as a “sort of privatization” of public higher education that is detrimental to the “public good” of the state of California. One of the two research reports the CFA sent out as an attachment of their released statement, “Equity, Interrupted: How California is Cheating its Future,” gives merit to the CFA’s concerns over the appearance of “privatizing” CSUs, when more than half of the 475,000 CSU students (54%) depend on Pell Grants to help pay for tuition and fees. The CFA report compared the CSU student’s workload of 1985 to that of 2015. To pay for tuition and fees for the academic year in 1985, students only had to work 199 hours at minimum wage, while due to the decline in funding throughout the years, students in 2015 must work 682 hours at minimum wage to cover the academic year. The CFA stated that allowing the tuition increase is a “betrayal of young Californians by older generations who benefited from California’s ‘People University’” just 30 years ago. On Friday, March 31, CI hosted a Relay for Life event. This event lasted from 3 p.m. on Friday to 8 a.m. Saturday morning in South Quad. CI clubs and organizations camped out all night. There was live music, food, games and of course cancer awareness. Relay for Life typically starts with an opening ceremony and then two important laps. The first lap is for people who are currently fighting cancer and then the second lap is for those who help someone with cancer. Throughout the night each team member takes turns walking to show the continuous struggle of cancer. Other teammates, when not walking, can go visit other teams’ booths to play games and learn more about what they can do about cancer and cancer awareness. There are more than 5,000 Relay for Life events every year, and Relay for Life at CI was one of them. Furthermore, all the money raised in these events goes to cancer research. If you enjoyed the CI Relay for Life or couldn’t attend, there are several more that you can sign up for. For more information and ways to get involved, visit http://relay.acsevents.org. Cancer never sleeps and neither do we! Hinojosa and Goldman held a combined vote of 407 ballots resulting in the President and Vice President positions. The CI View would like to congratulate this year’s winners but would also like to acknowledge all candidates for getting involved in CI’s Student Government leadership positons. The CI View thanks the large amount of student body voters who participated and supported this election to make the betterment of our campus possible. On May 5, CI is hosting Arts Under the Stars 2017, a free outdoor extravaganza featuring multimedia performances surrounding the theme of Borders. Teams of researchers, artists and performers are all collaborating to bring the event together. Performance topics range from the Los Angeles Lizard People to issues of political division to exploring concepts from chemistry through movement. 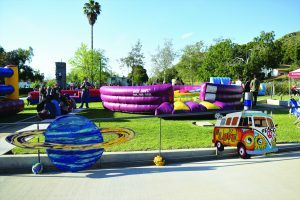 Arts Under the Stars will take place on campus on Friday, May 5, from 7:30 to 10 p.m. in El Dorado park, located at the corner of Santa Barbara Avenue and Ventura Street. In an effort to cross the border of language, the event will present varying materials in both English and Spanish, including program, website and video content. The event will begin with a pre-show performance by CI’s Contemporary Music Ensemble, followed by the multimedia performances. Event seating is picnic style, and guests are encouraged to bring blankets and chairs. Food will be available for purchase from food trucks. The event is alcohol-free. 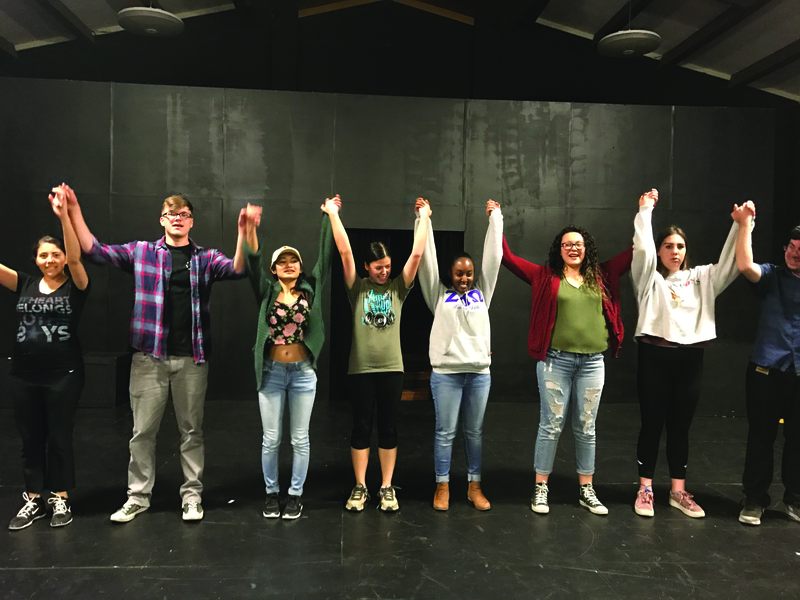 In addition to the live performances, audience members will be able to interact with ActiveARG, a start-up company founded by CSUCI senior Jason Russak. According to Russak, the company utilizes Augmented Reality Games (ARG) to “integrate gaming techniques with a spirit of competition in order to make learning more enjoyable and to substantially increase retention.” The company is currently developing a game that will be available for use at Art Under the Stars. Members of the audience will be able to answer questions relating to the performance in real-time with a chance to win prizes. The event will also feature its own SnapChat filter. This free event is made possible by the generous support of students through the Instructionally Related Activities fund. For more information, visit www.2017artsunderthestars.cikeys.com and https://www.facebook.com/ArtsUnderTheStars/. Beginning college is hard. It is a new atmosphere, new people and new opportunity. When starting, some people know what they want to do and some people do not, but eventually everyone has the same question: should I double major? Now if you do not know what double majoring is, it is completing two sets of degree requirements in whatever two fields you choose. Maybe you are indecisive, or maybe you love both subjects. However, before you make such a major decision, you should know a couple of things. First, you must realize that each major has lower division, upper division and emphasis (if you are taking one) requirements. All in addition to your general education requirements. Now, if you want to double major you must make sure you complete these for both degrees. Yet, there may be some light at the end of the tunnel. It is possible to “double count” in some cases, where one class can count for both of your majors. This is easier to achieve when both majors are in similar fields, as more classes can be double counted. If double majoring is something that you are considering, it is something you should think about earlier in your college career. Not that you could not double major if you thought to do it later, but it could potentially take longer to achieve. With thinking about it earlier on, you can achieve more in a shorter amount of time. You also must consider your minor, if you have one, for this also has a certain number of requirements that are needed to graduate. Putting all these together can add up to a lot of work. Make sure you do research for the kind of degree needed in your field as it can save you a lot of time. Also, Academic Advising is here to help. If you have any questions, make sure to stop in and schedule an appointment. They can answer any questions that you have, or point you in the right direction to get them answered. Visit them in Bell Tower 1595 or call them at 805-437-8571. 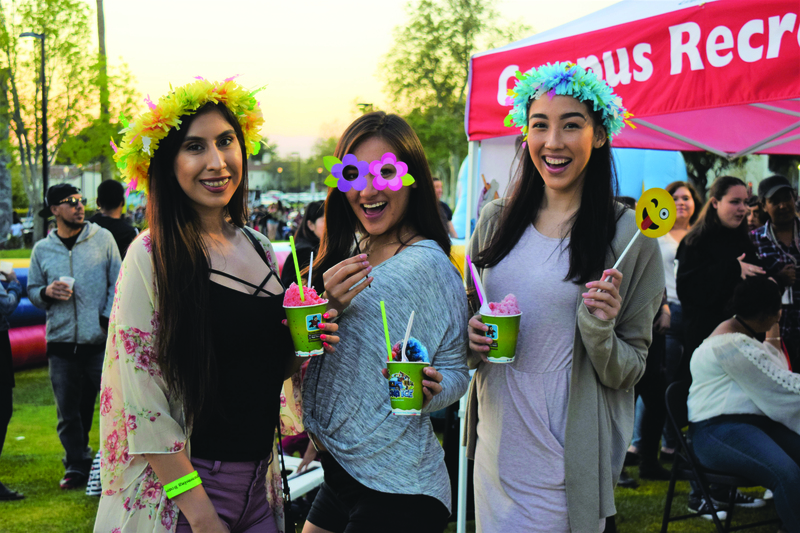 Dolphinpalooza took place on Saturday, April 1 at the Broome Library Plaza from 5 p.m. to 9 p.m. Dolphinpalooza, presented by ASI Student Programming Board (SPB), was a free, fun-filled event with live music, inflatables, a rock wall, a lazertag dome and food trucks. 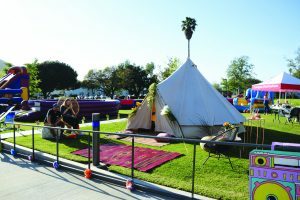 Dolphinpalooza was filled with fun and relaxation, and students were able to have a great time with friends and family. 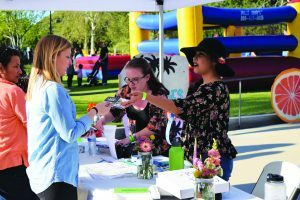 The event had a record turnout of 1,500 students, triple what the attendance was last year. 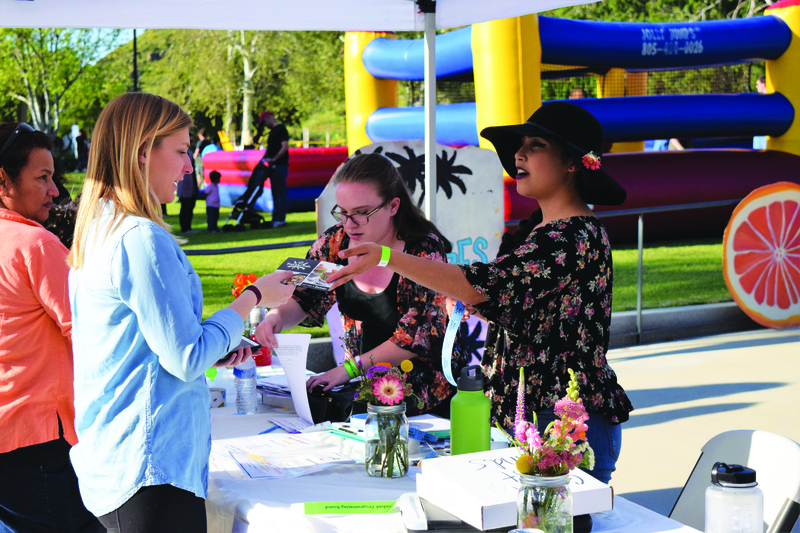 Dolphinpalooza was an event to help students and the community take a moment and get away from the stress and pressure of the semester. Dolphinpalooza was entertaining and fun with all the activities that took place. Personally, I loved Dolphinpalooza because I was able to have fun with my family while observing and taking note of the environment. There were featured student performers and featured bands. The featured student performers included Fuede and Group Hug. Students were able to demonstrate their talent and made the event livelier. The featured bands included Julian Martinez, The Icarus Account, The band Whesli, and The Crxssing. These performers also demonstrated their talents and they were able to engage us with their music. 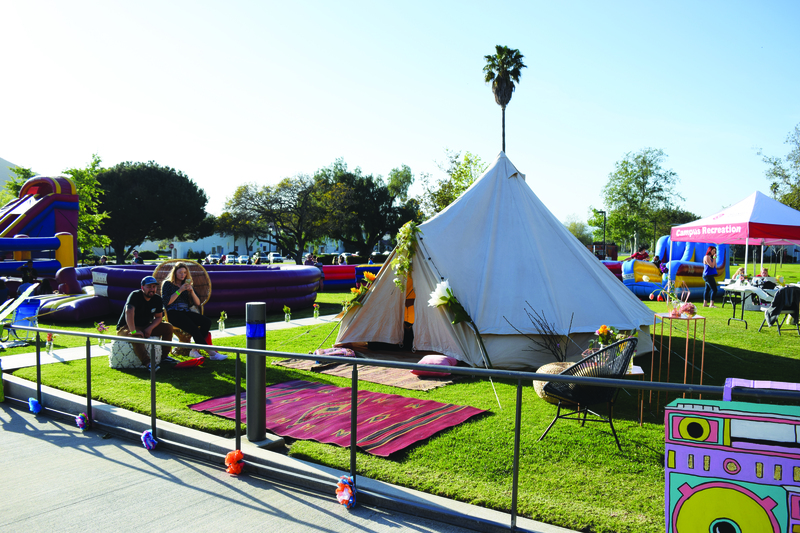 Dolphinpalooza was fun for faculty, staff and students. Roberto Martinez, one of the professors I talked with, said that he was having a great time and he thought that Dolphinpalooza was a great event. He also mentioned that it was a good way to “relax and step back from the daily routine.” I was also able to speak with a few students about their feelings about Dolphinpalooza. They said that it was a great way to actually enjoy themselves and take a break from studying. The food trucks that were included were Kona Ice, Tacos El Caporal, and Rock Chef Rolls. The food was good and so was the shaved ice. There were long lines to get the food, but it was worth it. 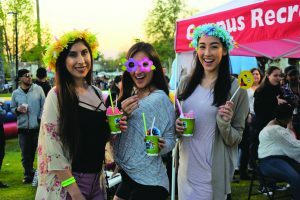 The first 200 students to check in got a free meal ticket, but Kona Ice was unlimited and free. 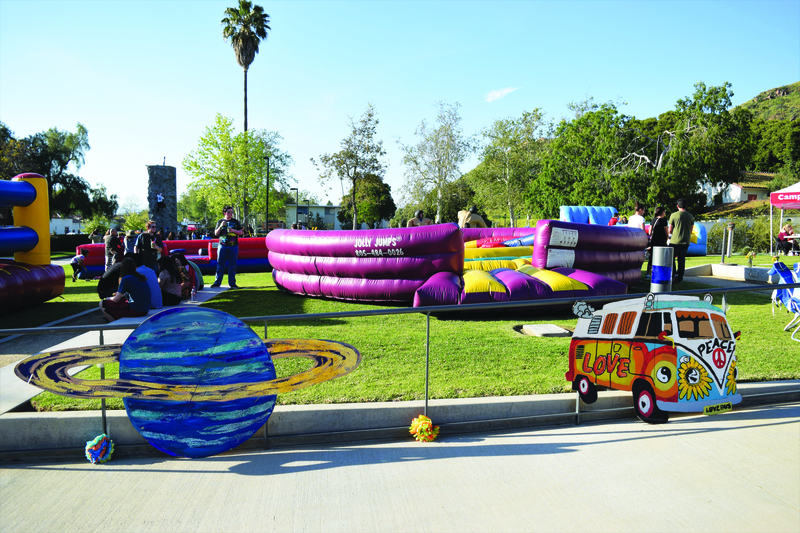 Dolphinpalooza was a success and was enjoyed by faculty, students, staff and community members. Even as Camarillo State Hospital (CSH) was closing its doors, plans were already in place to turn it into a new California State University campus. In 1965, State Senator Robert J. Lagomarsino co-authored Senate Bill 288, which called for the establishment of a new 4-year university in Ventura County. Shortly after, California Governor Pat Brown signed a bill that assigned a search for a location for the new university. One of the first indicators of CSH’s future as a CSU was the development of the Ventura Learning Center, or California State University Northridge at Ventura, by Joyce Kennedy in 1974. This, however, was dissolved in 1988 as the CSUN Ventura campus was moved to another location. By the time CSH was to be closed in 1997, the hospital was still going through a warm shutdown; though patients were no longer being treated, the buildings and grounds were still being maintained by staff. Between 1988 and 1996, the CSU system was searching for a prospective location in Camarillo for the new university. 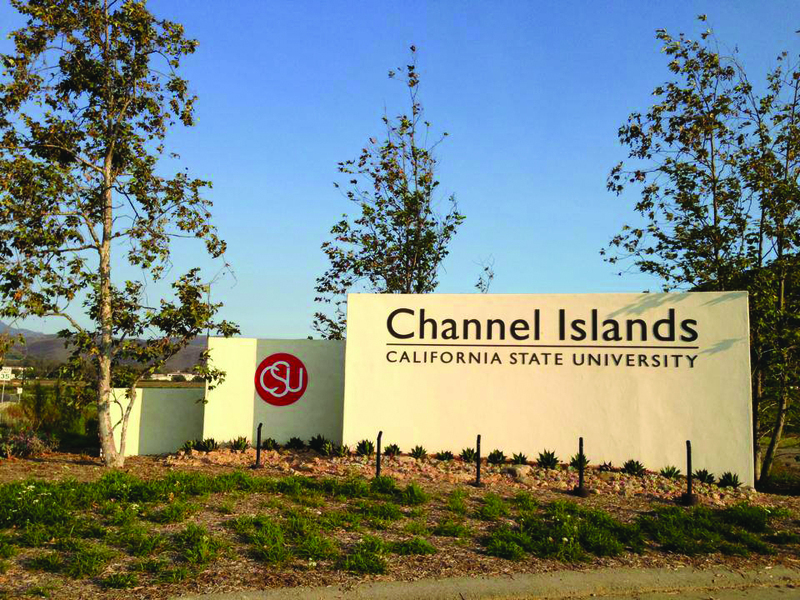 While land purchases were being negotiated, the CSU Board of Trustees officially approved the name of California State University Channel Islands on July 10, 1996. Handel Evans was named the Planning President for CI in 1996, becoming CI’s first president. He worked with the planning committee to assist with the transition and development of the new CSU campus. In 1996, California Governor Pete Wilson appointed a Task Force to recommend the re-use of CSH as a public university. 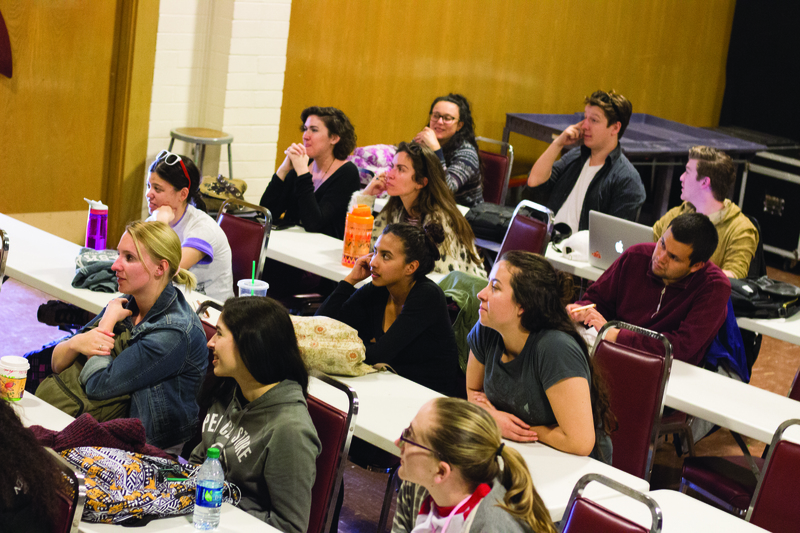 A year later Senate Bill 623, authored by State Senator Jack O’Connell, was passed and approved the transition of the CSH grounds to the California State University system. Construction on the campus began right away, and the CI administration moved from a previous location into what was once CSH’s Administration Building. As the campus was being developed, old buildings were destroyed and new buildings were put in place in anticipation for the university. The first half of what is now CSUCI’s Student Union Building, once a clothing store for CSH, became CI’s first library before the opening of the John Spoor Broome Library in October of 2005. The original CSUCI administration building was situated just in front of where the John Spoor Broome Library is now, but was torn down and converted into a parking lot when the library was being constructed. CI’s Central Mall, once a long driveway connecting Camarillo Street and Ventura Street, was converted into a walkway for students. While the CI campus is still under construction, some of the original CSH buildings are still left empty and abandoned, due to the toxic asbestos that was used when they were built. On March 6, 2001, Dr. Richard R. Rush was appointed by the CSU Board of Trustees as the new president of CSU Channel Islands, succeeding President Evans. Shortly after, the first CI presidential inauguration was held to welcome President Rush in April of 2002. California State University Channel Islands officially opened on August 16, 2002, and held its first day of fall semester classes on August 24, making CI the twenty-third, and newest, CSU in the system. Special thanks to Evelyn Taylor, whose assistance and knowledge helped make this series possible. Open Mic Club is for people who want to have fun and work on their performance skills. Open Mic Club began in March 2017, and the meetings take place on Wednesdays, 5 p.m. to 7 p.m., at the Lighthouse Cafe in the Student Union Building. Anyone from CI is welcome to join Open Mic Club. 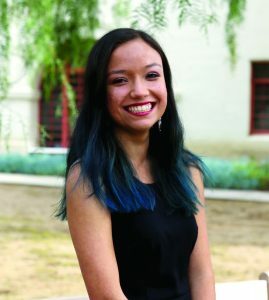 According to Corinne Smith, Chair of ASI Board and Vice President of Open Mic Club, the club has plans for the future to spread information around campus to recruit more people to join. Smith said that through the club they would like to communicate to others that they “don’t have to be music majors and that it is just to have fun.” She also mentioned that this club is good for others to practice performing songs they have written, finding ways to improve and to forget about class and take a moment to have fun. Open Mic has plans for the future to promote the club. Smith said that they want to be bigger around campus. In order to do that, they are thinking about doing some events. Smith also mentioned that they want to do these events because they have great talents as of now, but they would always like to have even more people join and share their talents. Open Mic wants all people who like to perform and would like to work on their performance to join the club. 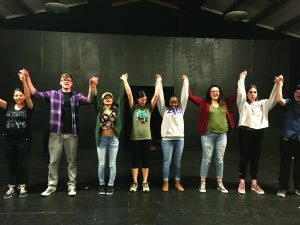 This club is not only for singers, it is for anyone with an interest in anything that can be performed, such as poetry and dancing, as long as it is school appropriate. Open Mic Club will definitely get more members to join and their plans for the future will improve their club. If you want to take a break from studying and have a good time, join Open Mic Club. For more information you can visit the club’s CI Sync page. Interested in starting a sports club at CI? Look no further, after reading this you will be equipped with the information you need to create a brand-new sports club! Campus Recreation has a specific step by step process to follow before any team is officially recognized or starts practicing. 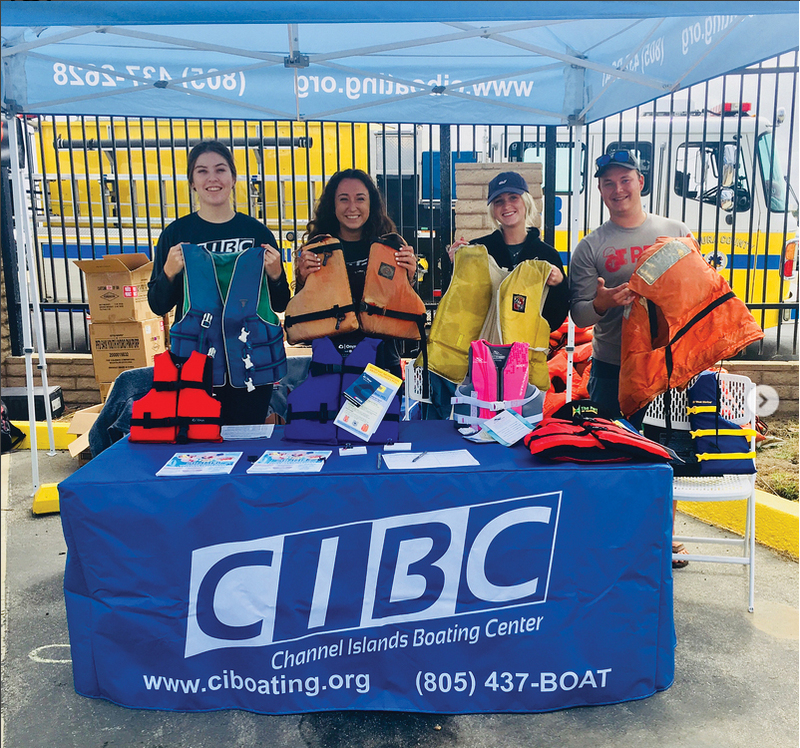 Campus Recreation Student Lead for Sports Clubs, Lindsay Pappalardo, said that “when students want to start a sports club, I take them to our sports club webpage.” The sports club webpage can be found under the Campus Recreation page on the CI website. It houses all the information for a student to start a team. Pappalardo explained “The main things you need to start a sports club, like any other club on campus, is a President, Vice President, Treasurer and a Safety Officer.” The Safety Officer position, which is unique to sports clubs on campus, can be filled by the same student who serves as President, Vice President or Treasurer. “You technically need five people to become a club” added Pappalardo. Next, members will want to develop a constitution for the sport. Assistant Director of Campus Recreation – Recreational Sports, Nathan Avery, commented that when drafting a constitution, the clubs “are developing exactly what they anticipate before they do any type of recreation or activity.” This needs to be written before your team becomes official. Once the constitution is completed, members will then be granted access to their own CI Sync page to upload the constitution. Up to this point the sport is in the stage of “exploration of interest.” This means students are in the process of looking for fellow students who are interested in becoming members of that particular sports club. Next, interested students must pay an insurance fee to be able to start practicing or completing. K-Pop Dance Crew, which became official this semester, is one of the newest of all sports club at CI. In addition, Men’s Soccer is in the process of breaking away from Women’s Soccer to form their own team. Snow Club, which includes snowboarders, skiers and snow enthusiasts, was previously at CI and is in the process of starting up again. What does the skate club do? “People think that it is all about skating but is much more than that, we are created from a friend group who likes to skate, so we just made a club. We like to think that the club is a community of skateboarders that allows people to meet up and hang out,” Frausto explains. 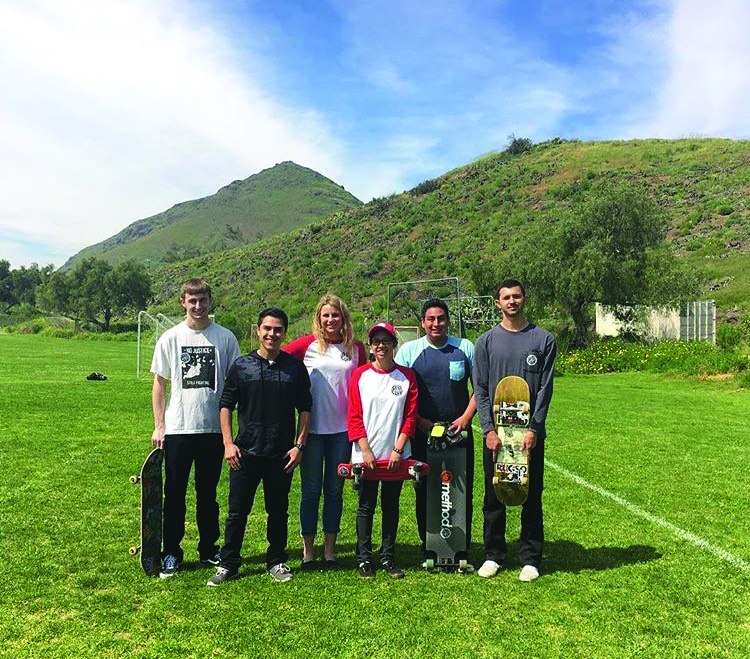 The club goes to skate parks together, but they also skate around campus, so you do not have to leave CI to participate. Veronica said that her favorite spot to skate at is Skatelab in Simi Valley. “Skatelab is an indoor and outdoor skate park, we rent it for a few hours that way our members can enjoy a private session” Frausto said. 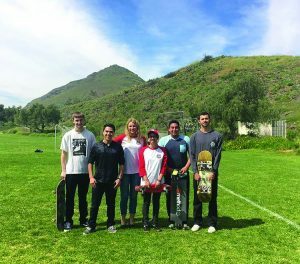 Another spot that is more local is the skate park in Oxnard by Oxnard College. “The vibe in the club is pretty chill, everyone gets along with one another and everyone has a great time” Frausto said. The Skate Club also films each other doing tricks, which brings them closer together. The biggest challenge the club has is getting the word out that there is a Skate Club here at CI. To join the Skate Club go CISync, complete the player’s participation form, pay the insurance fee and complete a liability form. “If someone doesn’t know how to skate we teach them” Veronica mentions. To get more information about the skate club follow them on social media @ciskateclub. 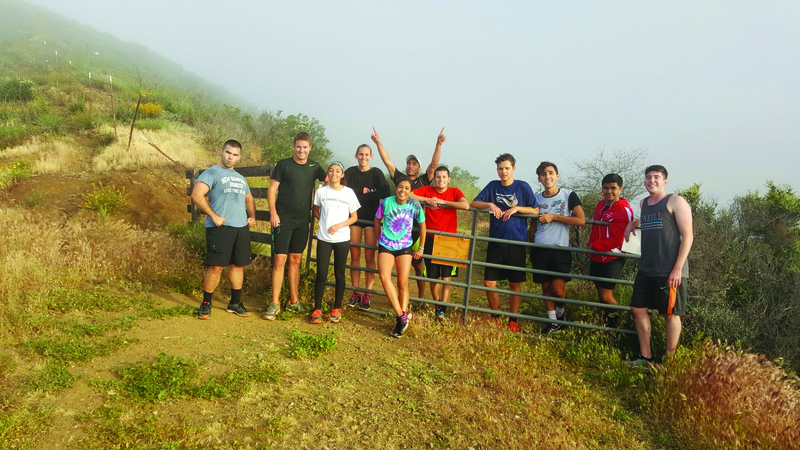 The CI Endurance Club has been around since 2010. The Endurance Club partakes in the sports of running, swimming and biking. To get more detailed information about the club I interviewed Reymundo Massie, a member of the club, and Maria Robles, the president of the club. Massie has been in the club on and off for about four years, and he mainly participates in cross country races. This is Robles’ second semester in the club and she is thankful she is now the president. 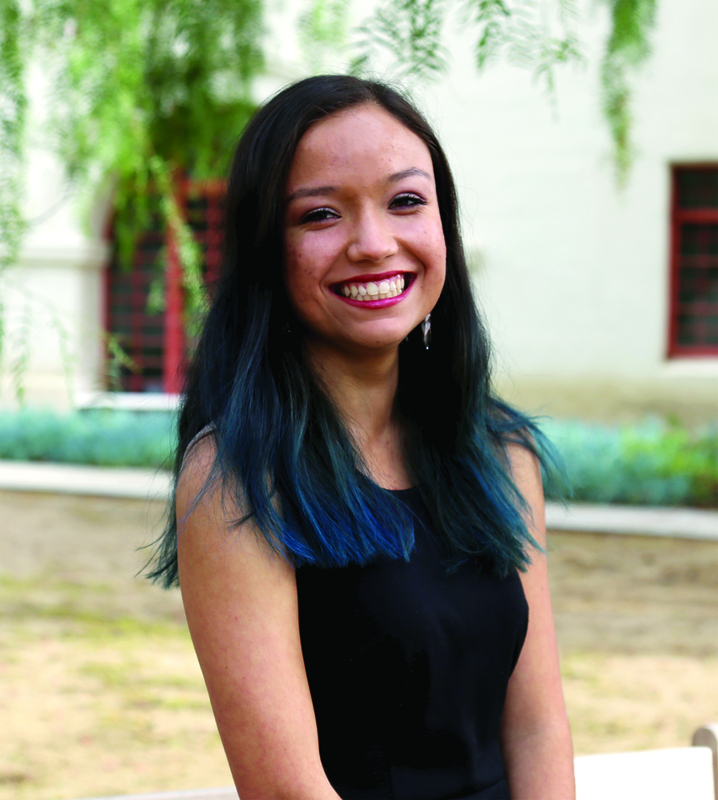 She did cross country in high school and also in Ventura College, so the Endurance Club seemed like a natural place for her to be. 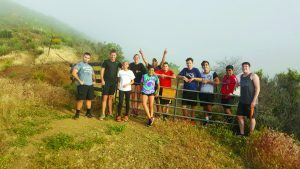 The club’s cross country team competes against other universities in official open college races. They also compete against other universities in triathlon races. One triathlon member, Kayla Roberts, qualified for nationals this year, and the team wishes her the best of luck. Any challenges? Robles answers “if we are not funded to be an official team, we are asking for volunteer coaches to come out and help us.” The team is hoping to eventually hire a professional coach and establish “a real league set schedule, which is serious and is business and is what the team wants.” Massie agrees. School funding will help out with equipment and transportation. How is the training? Robles explains “we run five times a week and we swim twice a week, Tuesdays and Thursdays at five in the morning.” They also bike with the Bicycle Kitchen or on their own, mainly during triathlon season. The members are currently in a nutrition plan to help them meet their goals. In the city shaping U.S. national politics, the air is charged with the energy of potential and everyone has opinions on what is going on in the world. 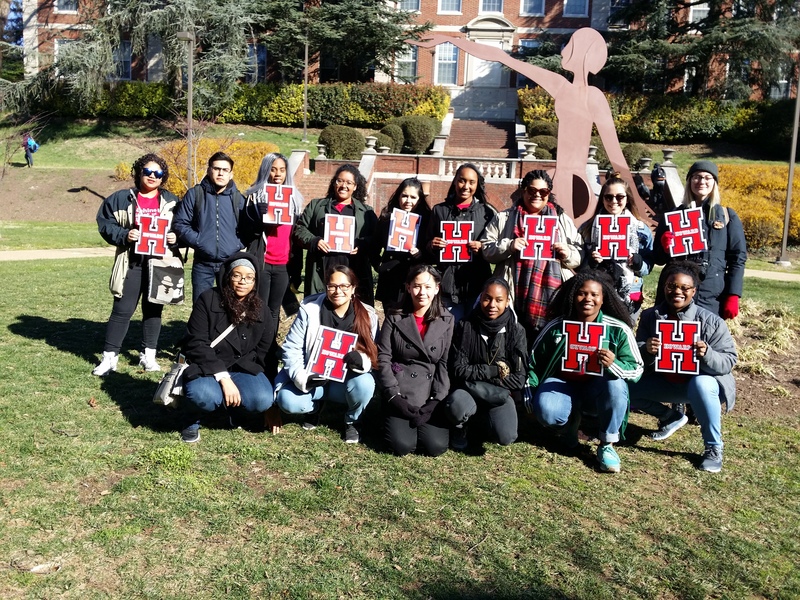 Over spring break Dr. LaSonya Davis-Smith and Dr. Angela Timmons took 15 CI students to our nation’s capital for an educational service-learning trip. The trip consisted of visiting the National Archives museum, the MLK Memorial, Arlington Cemetery, the National Museum of African American History and Culture, the Museum of American History, the Holocaust Museum, the Lincoln Memorial, the Iwo Jima Memorial, Howard University (Historical Black College or University), U.S. Senate and U.S. House of Representatives, and the Washington Monument. Going to Washington D.C. so soon after the recent election challenged my sense of responsibility to learn more and be involved with our nation’s politics. The many museums outlining our painful past of discrimination and our slow progress towards equality only highlighted the need for faster improvement in our policies and our attitudes. How did the trip change your perspective on U.S. history? What was your favorite and least favorite part of the trip? Did you learn anything in D.C. that relates to your life personally? The trip changed my perspective in that it showed me that we, as a country, have not come as far as we would like to think. During the trip we were exposed to a lot of hard to digest information about our country and its history, and my eyes were opened to the fact that some of these things are coming up all over again while others have never stopped. My favorite part of the trip was meeting all of my fellow students that came along. I feel like this group was an amazing group to go with because all of us knew we could trust one another to discuss the hard topics but we also could rely on each other to make things fun and lighthearted. I really appreciated being able to share this experience with the people that went. My least favorite part of the trip would have to be something as trivial as the jet lag. It was pretty hard to get used to such a drastic time change in only a few days! I feel that the entire trip related to my life on a personal level. I wanted to go on the trip in order to learn more about my history as an African American woman because I was never exposed to that side of my ethnic background as a child. This trip provided me with insights that a history book never could have, and I am left feeling more in touch with my place as an African American woman and my role as an American in general. This trip expanded my knowledge on the origins of slavery and U.S. history in general. My favorite part of this trip was visiting various museums and exploring D.C. My least favorite part about the trip was not being able to see more historical landmarks, such as the Decatur House and Frederick Douglass’ National Historic Site. I learned that there is so much out in the world for me to see and that it is important to gain more knowledge about our history and be an advocate for change. I also learned that it is important to educate our youth on our nation’s history. This trip gave me a broader perspective. U.S. history is taught from a European perspective but throughout this trip, we got to hear/see history from voices that have been oppressed. My favorite part of the trip was visiting the National Museum of African American History and Culture because, as a student of color, to see both the struggle and the success inspired me. My heart was filled because I stand on the shoulders of those who fought before me for my rights. I don’t think I had a part of the trip that I didn’t like. I learned several things but the most empowering lesson I learned was if we set our minds to movement, we can do anything. This is empowering because we have the power to change things. My name is Emilee Grochowski and I am a senior participating in commencement this spring. I am currently in a state of disappointment as the bookstore just informed me that they are not going to be selling or ordering anymore generic graduation stoles. At GradFest, I was not informed there would be a limit as to how many of these stoles would be in stock to be sold. My major, Performing Arts, does not have enough graduating members to have personalized stoles, so I had planned on buying a generic stole when my paycheck came in. Much to my surprise, when I visited the bookstore today to finally purchase a stole, I was informed that they would not be ordering anymore stoles and that they were completely sold out. This is upsetting to me for a couple of reasons, first being that graduation is important to both myself and my family. I am a first generation college student and I am proud that I attended CSU Channel Islands for the past four years. I have worked so hard to get to where I am in my educational journey, and graduation is a once in a lifetime moment. I was looking forward to being able to have a stole that stated my class and the university I attended because I take pride in this accomplishment. My family and I have been looking forward to graduation, and although to some it just seems like a graduation accessory, it is incomparable memorabilia for me. It has been brought to my attention that my peers, who were also unaware of the concrete deadlines for stole purchases due to the absence of information, are feeling the same way. We have worked so hard to get to this moment in our lives, we have spent thousands of dollars to get our education, and we are disappointed with the lack of availability and communication provided by CSU Channel Islands graduation services. We were encouraged by the bookstore to find outside sources to create our own stoles, but we are not allowed to use our school’s logo, and these stoles cost a minimum of $55 each, but were sold at the bookstore for approximately $25 (for the generic stole). I am aware that this is not necessarily an issue you can take action in, but I think it is important that this be brought to your attention. On behalf of my peers, I would like to say that we are disappointed and frustrated that we are experiencing this problem for an occasion that is celebrating our accomplishments. Haroset is a traditional Passover dish. This version is my family’s recipe but there are many variations and different regions have varying combinations of fruit, nuts, and spices. -Add to taste: ground cinnamon, ground ginger, and grape juice or red wine. Peel and finely chop apples, place in bowl. Finely chop almonds and walnuts, add to bowl. If using dried apricots, finely chop and add to bowl. Add cinnamon, ginger, and juice or wine to mixture. Juice or wine should help everything stick together, but not drown the fruit and nut flavors. Mix everything together, it should be the consistency of mortar. Pair with matzo (plain cracker) or eat by itself. Serve immediately or refrigerate overnight for deeper flavors. Thaw strawberries, if using frozen (do not drain). 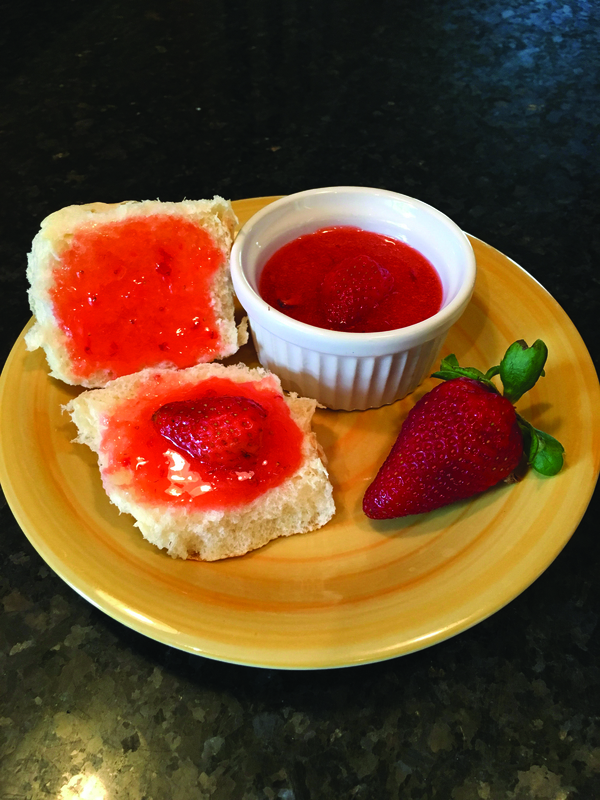 In a medium bowl, use a potato masher to crush berries until reduced to about one cup. In a large microwave-safe bowl, combine the mashed berries, sugar, lemon juice and butter. Cover and microwave for 8-9 minutes, stirring every two minutes, until mixture thickens and is reduced. If desired, press hot mixture through a sieve to remove the seeds. Let cool, then cover and place in refrigerator to set. Serve and enjoy. 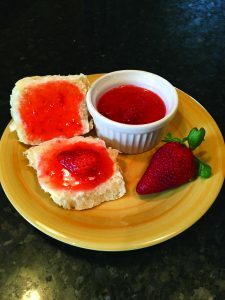 – You can use other berries, such as boysenberries, raspberries or blueberries, or mix and match your favorite kinds. Recently I had the wonderful opportunity to have a good ol’ family dinner with my folks and other assorted family members. While some of you might be trying to distance yourselves as much as possible from your hillbilly parents by fleeing to California, I consider myself lucky to have a family that is more or less largely comprised of people who aren’t dumb jerks. More importantly, they can cook pretty darn well when given an opportunity to show off their skills, so naturally I tend to look forward to these get-togethers. First, however, we must go through the process of bringing out the fancy, gold-trimmed plates and utensils from the dungeon that we banished them to, and cover the table in a pink tablecloth that ensures that I don’t have to take a sponge to the table later. I say “we” because, if I’m being perfectly honest here, I may or may not conveniently find some homework to do that just happens to be due the next day right when the tablecloth needs unfurling. But then it comes time for the family to arrive. And again, they’re usually pretty nice! It’s just that not everyone agrees on that point all the time. There’s always that one person who arrived late and forced the chicken to be overcooked, or brought something that failed to consider others’ Dietary Concerns, or maybe they just found a way to breathe wrong. See, I happen to live close by to a decent portion of my family, so it’s not like seeing them is a rare occurrence. This saves me from the endless hours of hearing “LOOK HOW MUCH YOU’VE GROWN!” from people that insist that I have seen them before, but it also means that when the family arrives they are met not with hugs but with nagging. Luckily, this is mostly good-natured nagging, so eventually everyone learns to be quiet, sit down, and stuff their faces with food. As time goes on, the conversation inevitably shifts to more pleasant things, almost always with an emphasis on my current academic progress. 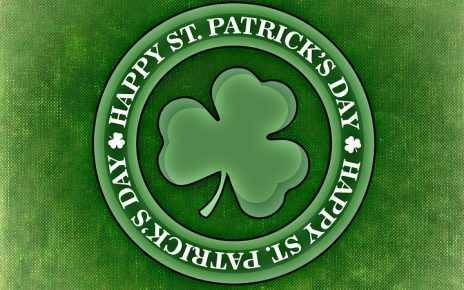 So rather than whatever cultural, religious, or family figure the holiday is intended to respect, we wind up talking about what teachers happen to be annoying me at the time. Everyone is sitting around the table, munching pleasantly, when someone says something that seems harmless…but then someone else responds by pointing out how this current topic relates to their Controversial Opinion on a Delicate Subject. The chatter suddenly grows quiet. Everyone suddenly stops what they’re doing and stares at the two conflicting debaters, who suddenly begin glaring at each other with furious faces, as if hoping that a glare alone can turn their opponent into the pathetic, oozing ball of ignorant slime that their opinion seems to mark them as. A spirited argument ensues, with both members trying their best to not swear like sailors in a tsunami. The older guests beg and plead for the madness to end, and the younger guests complain that the dessert isn’t going to eat itself. But it is too late; not even the most delicious cake in the world can solve this conflict. But thankfully, none of that happened this past weekend, so I had a grand old time hanging out with my folks and making someone else do the chores. Live action adaptations of manga and anime used to spell doom and destruction for any production, much like comic book adaptations in the 90s and video game adaptations throughout all of film history. But now, with heroes and villains and giant Sci-fi universes becoming hugely popular, it makes sense that anime is the next realm of adaptations for Hollywood to go into. When this film’s trailer was first unveiled, it received many complaints for the casting of Scarlett Johansson, a white woman, as the Major, a character who is supposed to be Japanese. While I see why the complaints are valid, I did not care at the time and was instead looking forward to seeing how they were going to make the movie. Overall, I found it…average. The visuals were great, the music was wonderfully atmospheric, which added to the heaviness of the film. Also, the action sequences were fairly good. I didn’t like Scarlett Johansson’s acting, which reminded me of a bad overdub from the 90s. Another annoying thing about this film was the inclusion of superstar Japanese actor Takeshi Kitano, who, while admittedly awesome, had his lines completely in Japanese, compared to the other characters’ English dialogue, which to me screams “hey guys, we’re not racist, we included a Japanese actor, we’re cool, right?” Since I personally hate tokenism, I found this to be very distracting. Have you ever seen the 1995 animated movie? Did you want to see that movie with a different villain and yet another evil corporation? Well if so, this movie is for you. Curious about “Ghost in the Shell” as a series? Read the manga or watch one of the many animated series and spinoff shows. Don’t watch this. It’s not as interesting. Sci-Fi Horror/Slasher/Thrillers seem to get little recognition outside of the “Alien” series. Movies such as “Event Horizon,” “Sphere” and “Cube” are not commonly talked about compared to “Alien” and “Aliens.” Usually, there is a reason for this; the critics tend not to like them. Such is the case with “Life” unfortunately, but “Life” is not perfect. First for what I liked: it was much scarier than the last two acclaimed horror releases of this year, “Split” and “Get Out.” The acting was still good and the chase scenes were tense enough. The two things that make this film sub-par, though, are the lack of character development and the ending. Oh boy, the ending. Not since “The Mist” (2007) have I seen an ending so frustrating. This might be a minor spoiler alert, by the way, in case you haven’t seen the film. While the ending of “The Mist” was so shocking it was brilliant, the ending to “Life” felt like a cheap way to frustrate the audience at the cost of quality. The ending also felt tacked-on, as if they filmed the good ending for the Blu-ray release but they kept the “Evil Dead” style “getting screwed over” ending in the theatrical release. I would recommend this movie when it comes out on Netflix or Hulu, but I wouldn’t rush to the theater to see this. Unless you like generic Sci-fi horror, sit this one out. Maybe the new “Alien” movie will be better. Darkness gathers, danger comes for Hyrule! Princess Zelda needs your help once again! Wake up Link! Yes, it is time for our favorite hero to reprise his role and take on the forces of evil once more in Nintendo’s new game “The Legend of Zelda Breath of the Wild” (2017). Gamers jubilate, the long anticipated arrival for “Breath of the Wild” is over, and not a moment too soon! Filled with spectacular journeys, captivating trials, vast openness, beautiful sceneries, enticing gameplay and dreadfully monstrous foes, Breath of the Wild is anything but lackadaisical. This sandbox game is unbelievably addictive, and what’s even more breathtaking is that it is portable! Seriously? I’m taking it everywhere! After playing “Breath of the Wild” for ceaseless and tireless hours, one aspect of this game I really enjoyed was the amount of detail put into it. I have not experienced a game this well-constructed since “Skyrim: The Elder Scrolls V” (2011). However, being the predecessor in the realm of role playing games, the Legend of Zelda first made its debut back in 1987 for the Nintendo Entertainment System. Ever since then the franchise has morphed from a two-dimensional, two button scheme to a more complex three-dimensional aspect with Nintendo 64’s “The Legend of Zelda Ocarina of Time” (1998) and “Majora’s Mask” (2000). Since then, our favorite elf-like protagonist has been in many hand held games for various platforms, such as Nintendo’s Gameboy, Gameboy Advance, DS, and 3DS, so on so forth. Each game has its own unique style of game play and characteristics that make every Legend of Zelda game that much more enjoyable. However, “Breath of the Wild” takes a new angle at the franchise by setting the plot in a futuristic type of reality, and practically allowing you to freely explore the boundless terrain. The plot takes off one hundred years after the battle with Calamity Ganon. With new weapons, a glider, and a few corky allies by your side, this extremely delightful game will have you neglecting your assignments and focusing more on saving Hyrule on horseback with sword in hand. Take it from me, “Breath of the Wild” is everything a Zelda game should be and more, and this is coming from a guy who still plays the classic “The Legend of Zelda Link’s Awakening” (1993). With that said, if you haven’t gotten your hands on a copy go out a get this game or download it on your Nintendo Switch or Wii U (the Switch preferably), and get yourself lost in this arcane realm. I guarantee you will fail your classes. Just joking, but in all seriousness “The Legend of Zelda Breath of the Wild” is monumental.